The Department of Consumer and Regulatory Affairs (DCRA) is heading out in a few minutes to the American University Off-Campus Housing Fair at the University Club, Mary Graydon Center on the Main Campus. Come see us and ask any questions you have. Shana and Cecilia will be at our booth. If you want to schedule an inspection, swing by and talk to them in person. Or shoot an email to dcra.housingcomplaints@dc.gov and we’ll get it scheduled right away. Hope to see you there. We’ll be doing some live Tweeting as well so shoot us some questions. Georgetown University’s The Hoya had two great pieces highlighting the Department of Consumer and Regulatory Affairs (DCRA) efforts to ensure all rental properties are license and, even more importantly, inspected for safety. Be sure to take a look at the original story here and the Hoya Editorial Board also wrote a piece here. We’ve said this many times, but DCRA wants all residents to have safe housing. By requiring a license and making an inspection mandatory before a license is issued, everyone has cleaner, safer homes and neighborhoods. Students, please talk to your landlord or look up your address yourself and get in contact with us if you feel your rental has violations. Print off our checklist and do a walk-through yourself if you’re hesitant to get the city involved. Twenty-one-year-old Adam Michael Lockard, a former summer employee at City Bikes in the Washington, DC area, was attending Western State College in Gunnison, Colorado. He and another WSC student, 18-year-old Lucy Causley of Harbor Springs, Mich., died in the fire in the 100 block of N. Colorado Street Saturday morning. An initial investigation indicated the fire started on the outside of the house and spread inside, according to the Denver Post. Officials said they are still trying to determine whether the fire was intentionally set or accidental. We’re going to be sending letters beginning Tuesday to more than 125 landlords around Georgetown University who we believe are operating without valid business license. They will be given 10 days to apply for the license and have their property inspected. We encourage all landlords to come in voluntarily before we have to take enforcement action. More details coming soon. So please check out the post on the District’s sidewalk clearing rules and call 311 to report any issues. DDOT and DPW are working hard to get streets cleared and get property owners to clear the sidewalks. 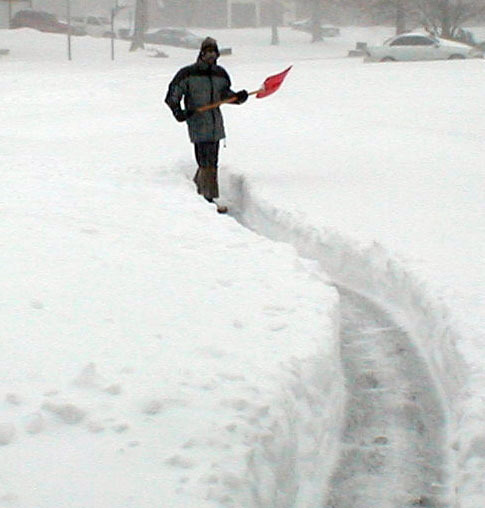 #snOMG 2009 – Who’s Responsible for Clearing Snow in DC? DCRA Says It Depends. District law requires property owners to clear snow and ice from sidewalks, handicap ramps and steps abutting their property within the first 8 daylight hours after snow, sleet or ice stop falling. (DC Code, 2001 Ed, § 9-601.) This applies to all property owners – residential, commercial, federal, and municipal. If ice cannot be cleared without damaging the sidewalk, then property owners may spread sand or salt to make the sidewalks safe. (DC Code, 2001 Ed, § 9-604.) Property owners must also clear snow from the ADA-curb cuts. These are part of the sidewalk. Property owners are also asked to clear snow from catch basins and storm drains to prevent flooding during snow melt. Do other cities require property owners to do this? Is there a fine for not clearing the sidewalk? According to the municipal Code, if property owners fail to comply, the District is required to clear their sidewalks (DC Code, 2001 Ed., § 9-605) and sue the property owners for the cost of clearing the snow or ice plus a $25 fine (DC Code, 2001 Ed., § 9-606). Add 12/20: DDOT and DPW handle and cite for uncleared sidewalks in public space. Call 311 to report. They will handle as fast as they can. Let them know now or bookmark this post for the next storm. ADDITION: If you rent a single-family home or your lease explicitly states that you are responsible for clearing the snow, not your landlord, then you can be cited as well. Be sure to call your landlord or review your lease terms if you are not sure.